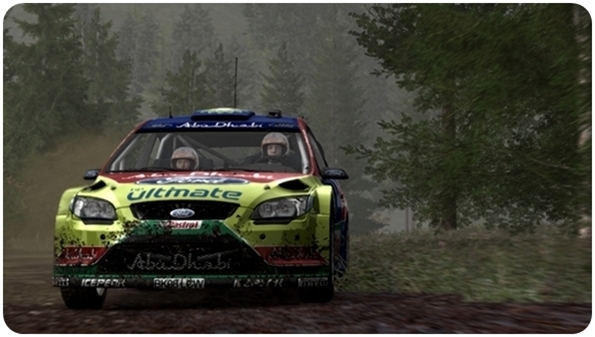 After hearing Dirt 3 would be making a return to proper rallying, I couldn’t help but feel let down by the final product. So much of the game was left to the demented machinations of Ken Block; I was relieved they’d taken McRae’s name off the box. A rally car is not a BMX or a skateboard as the clumsy gymkhana sections proved. WRC 2 lives and breathes for proper rallying though. Traditional A-B stages dominate, with a few Super Special Stage duels thrown in for good measure. All the big names like Loeb, Solberg and Hirvonen are here along with their official WRC rides. The lower rally leagues and the infamous Group B cars are also present. You can race individual rallies with the stars straight away, or get started on the lengthy career mode, The Road to the WRC. Various handling options cater for beginners, intermediates and experts, or you can customise to taste. The handling feels better than last year’s decent first attempt. The handbrake turns in particular are more responsive. Driving around the hairpin-happy arena events on tarmac really shows how good swinging the back end of your car out can be, not to mention, insane amounts of fun. The in-car head-cam has now evolved; the driver now turns his head while drifting to get a better view for coming out of the corner. This is a feature so often missed in other racing games. Tracks are designed to test your skills and your nerve. Tarmac areas in Germany grip as they should and the dreaded Hinkelsteins are back to smash you to pieces should you stray off road. Gravel routes are full of long sweeping drifts, with some killer lines to find. Ice and mud sections up the tempo as they dare you to go faster, knowing you’re a split second away from cartwheeling up a tree. Not much has changed graphically, but they’re pleasing enough without being distracting for being ugly or amazing. Not that you’ll have time for sightseeing if you want to stay on the road. Just as I was starting to think I’d tamed the game, I found the Las Jarillas Argentina stage, a terrifying mix of twists, awkward cambers and drops. Searching for parts of the road that didn’t make the car buck like a mule was a harsh challenge and I loved every mental second. My co-driver -who gives excellent notes throughout the game-, must have had severe spinal damage by the time I scraped my heap over the finish line. The game can also be testing in an endurance sense thanks to many of the stages lasting over five minutes. Boredom never comes into it, as the track selection thrown at you is always changing. 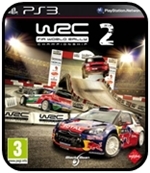 After the endless repetition of Dirt 3’s samey campaign tracks, WRC 2’s 78 stages, across 13 countries are most welcome. Many are borrowed from last year’s game, but they’ve been tweaked with some sections narrowed and sly extra rocks added. Turkey, New Zealand, Bulgaria and Japan have been replaced with Italy, Argentina, Greece and Australia. So there’s a decent mix of old and new and the improved handling makes it worth a purchase even if you have the first game. Damage is adjustable, and generally very reasonable. Although, when you fly off a cliff, you’re reset before you see your car get smashed up. You return completely unscathed from these mid-flight rescues too, whereas hitting a bridge entrance will certainly give your mechanics some work. Thanks to the now standard Rewinds, you can afford to throw caution and insurance documentation into the wind as lengthy periods can be travelled backwards to fix a crash. It’s interesting just how far back I had to go sometimes, it would seem some racing lines were always doomed. 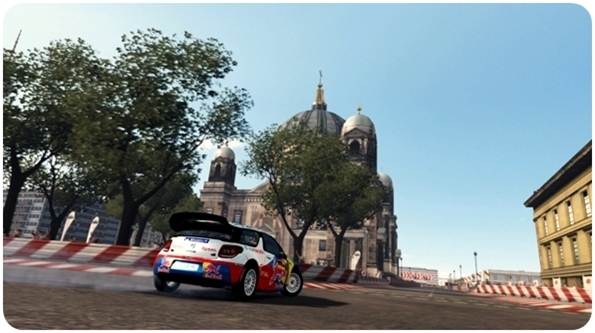 The World to the WRC mode is where you’ll spend most of your time. You begin with a small team and a pedestrian motor, but it isn’t long before the cash starts rolling in. You’re then able to hire extra office staff to help rake in the best sponsors, who’ll pay bonuses for clean races and other goals. Hiring mechanics to research and develop better parts also plays an important role. Picking your team is often a case of weighing up strengths and weaknesses to see where you want to improve. It’s a great improvement and provides a break from the intense driving. Brilliantly, you can change the difficulty as you go in the career mode, so you can strengthen the AI when you improve to keep the game challenging. The extra depth provided by managing your staff is somewhat hindered by the unresponsive menus. Entering and backing out of them is a nightmare. Audio cues acknowledge the button presses, but I had to press them multiple times to get them to work. This was almost every time too. And yes, I tried changing pads. It’s worth persisting as the staff are an important aspect of the game and it would be a shame not to use them. Drivers who fancy getting their hands dirty can adjust a huge amount of sliders for suspension, ride height, gear ratios and such. The default settings are reliable enough for anyone not interested. Each item is well explained though should you fancy a go. For multiplayer you can play locally by taking turns in the hotseat, competing for times in the absence of split-screen options. 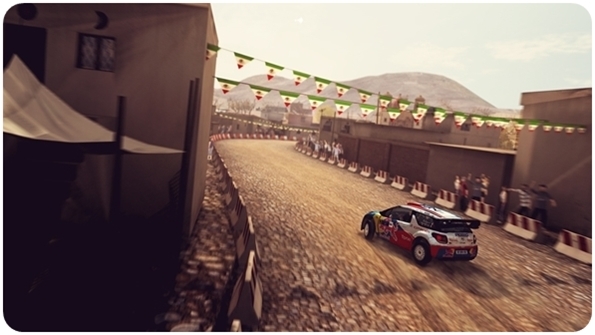 Online games feature up to 16 racers, with ghost images allowing you to compete simultaneously. There are many car classes to choose from and the racing is smooth and lag-free. Overall, the handling is better than the first game and the varied track design is an inspired highlight. Only the sluggish menus let the game down, but the lengthy in-depth career mode and online options should keep rally fans happy until the Dirt series pulls its head out of Ken Block’s backside. Thanks, it’s hard to find reviews that weren’t written by children who haven’t driven before. You can beat dirt 3 with just engine braking.